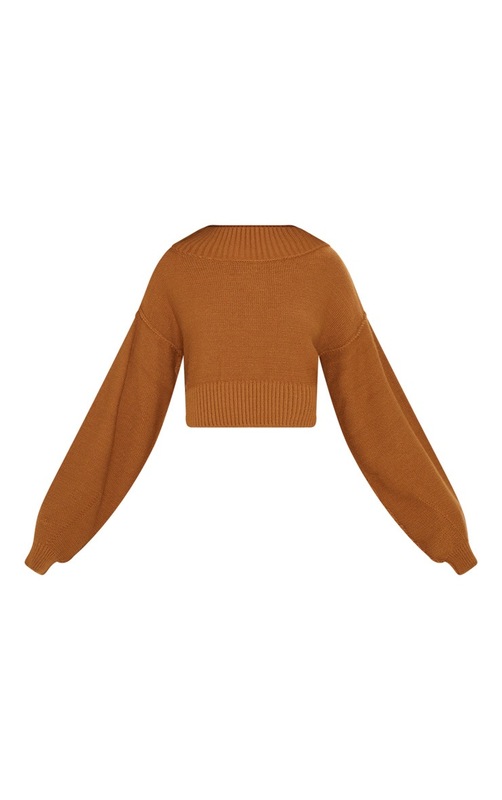 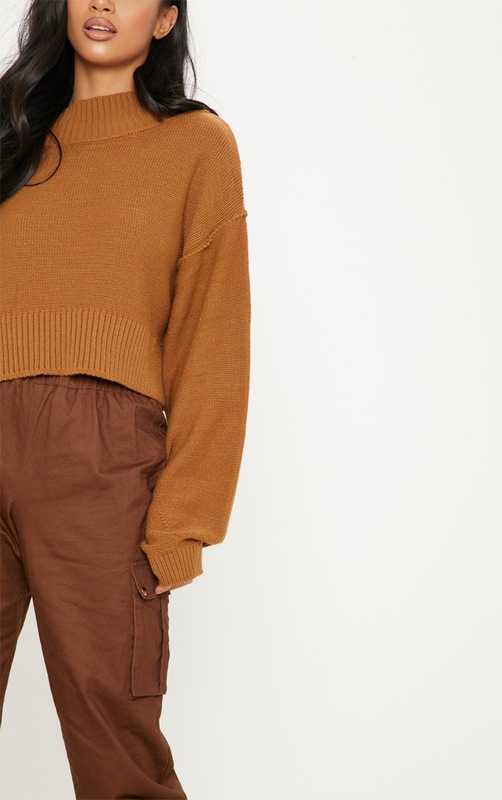 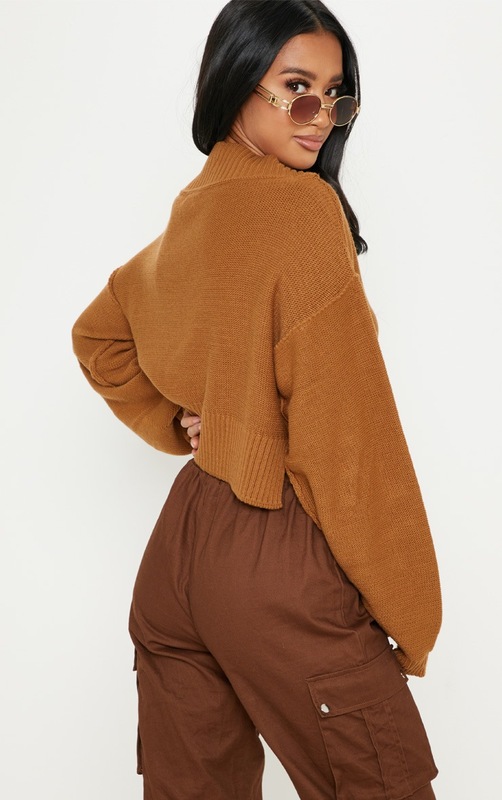 Get cosy for winter in this super cute sweater. 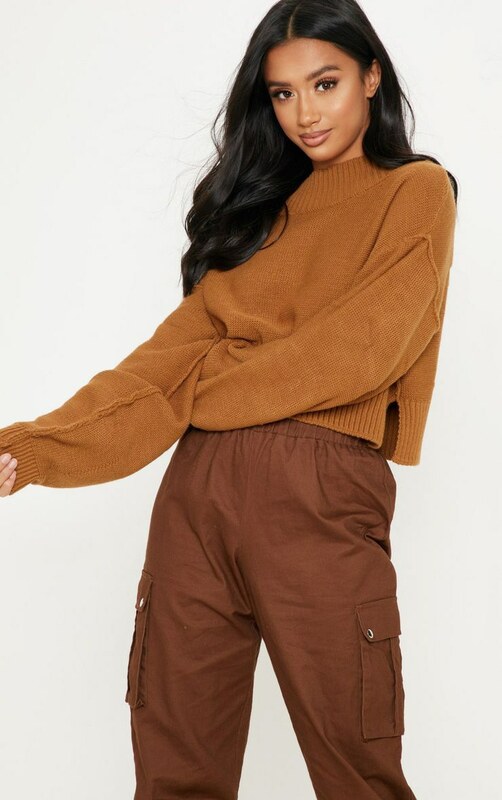 Featuring a taupe knitted fabric with a cropped length, long sleeves and snug fit, what's not to love? 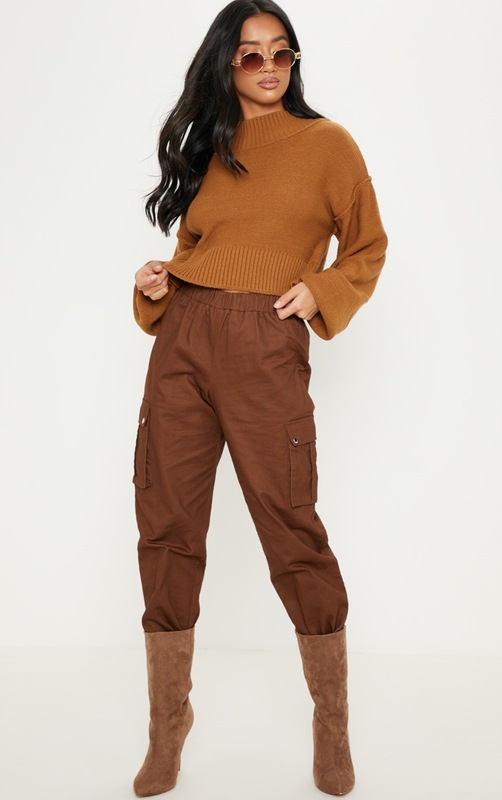 Style with chocolate cargo pants, brown sock boots and retro glasses for a look we're obsessing over.